Born and raised on the shoreline of Connecticut, Kate is now proud to call Litchfield County her home. After recently purchasing and renovating a home in Litchfield County, Kate understands the remodeling process and can help buyers looking for a project or renovation. Kate enjoys working with people to educate and assist them in fulfilling their needs. Her BFA degree in Graphic Design, along with her background in kitchen design, has given her experience in both creative and competitive markets. Having worked in the education field for over ten years, Kate is an expert communicator that can prioritize the needs of a client. 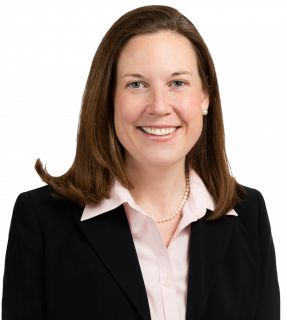 Kate is also an active member of the Litchfield County Board of REALTORS, the Connecticut REALTORS, and the National Association of REALTORS. Kate and her family love to spend time hiking in the state parks and land preserves, visiting nearby farms, and playing tennis with her husband, a local tennis pro and coach. She also enjoys the visual and performing arts, boating, and eating out at a variety of topnotch restaurants in the County. Kate always looks forward to sharing her love of the area with clients, and works diligently to meet their needs.